Last weekend’s disastrous earthquakes in Nepal are a reminder that natural disasters can strike anywhere. Employers can and should plan for a broad range of events, and can apply guidance from occupational safety and health agencies standards when doing so. The U.S. Occupational Safety and Health Administration (OSHA) requires employers with specified activities to prepare and implement emergency action plans (EAPs), provides guidance for EAPs, and recommends that all employers prepare these plans. Employers can use this structure to prepare for earthquakes. A variety of OSHA standards require employers to maintain plans and alternatives for dealing with emergency conditions. Even if you are not required to develop an EAP, OSHA recommends that all employers do so. For example, eligibility for OSHA’s Voluntary Protection Programs requires that a facility be covered by written emergency preparedness and response procedures that address all types of emergencies. Preferred methods for reporting fires and other emergencies. Emergency escape procedures, including different scenarios that include evacuation. Emergency escape route assignments for employees. Procedures for employees assigned to operate critical plant operations before they evacuate. Procedures to account for all employees after emergency evacuation. Rescue and medical duties and procedures for designated employees. Names or regular job titles of persons or departments to contact for further information or explanation of duties under the plan. Pick "safe places" where individuals can shelter during a quake (could be under a sturdy table or desk or against an interior wall away from windows, for example). Practice drop, cover, and hold-on in each safe place, so they become automatic responses. Practice these safe earthquake procedures (i.e., drop, cover, and hold-on) at least twice a year. Employees should wait in their safe place until the shaking stops, then check themselves for injury, then move carefully and watch out for things that have fallen or broken, creating hazards. Be on the lookout for fires, which might be due to broken gas lines, damaged electrical lines or appliances, or release of previously contained fires or sparks. Employees who leave a building after the shaking stops must use stairs not elevators, and look for falling debris. Remember that earthquakes can trigger fire alarms and fire sprinklers, even absent an actual fire. Employees outside in an earthquake should stay outside, and move away from buildings, trees, streetlights and overhead lines to avoid injury from falling debris. Inform workers of the plan and discuss earthquakes with workers. Get appropriate training, such as first-aid and fire extinguisher use, and keep training current. Emergency Supplies for Earthquake Preparedness. FEMA provides standardized lists of suggested supplies. Establish earthquake and evacuation plans, and practice them on a regular basis. Update plans and procedures based on lessons learned from exercises. Is the organization required to prepare an EAP for any of its workplaces, by OSHA (or state) standards applicable to its activities at any workplace? HAZWOPER Standard (under specified circumstances)? Portable Fire Equipment Standard (under specified circumstances)? Fixed Fire Suppression Systems Standard (under specified circumstances)? Chemical-specific standard (Ethylene Oxide, 4,4’-Methylenedianiline, 1,3-Butadiene)? Additional state-specific standard (e.g., California’s Powered Platforms and Equipment for Building Maintenance Standard)? Has the organization prepared an EAP voluntarily (or as part of compliance with other requirements, such as Hazardous Waste Contingency Plan)? Does the organization’s EAP (or other plan) include all elements required by OSHA and/or other relevant regulatory agencies? 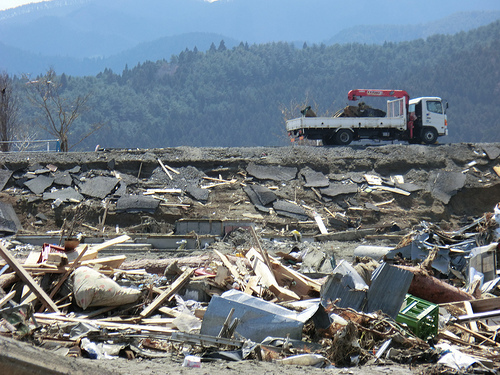 Are scenarios based on workplace surveys that include seismic conditions, and workplace conditions that create or exacerbate hazards during and after an earthquake? Do plans include evacuation routes and procedure? Are employees trained in EAP elements, including organizational requirements and their personal roles? Does the organization conduct periodic training to ensure that employees are ready to follow EAP provision in an emergency? Does the organization review its plan and procedures periodically?